When I was a wee Whippersnapper I was somehow immune to the frigid water of the Yukon River - this is no longer the case. 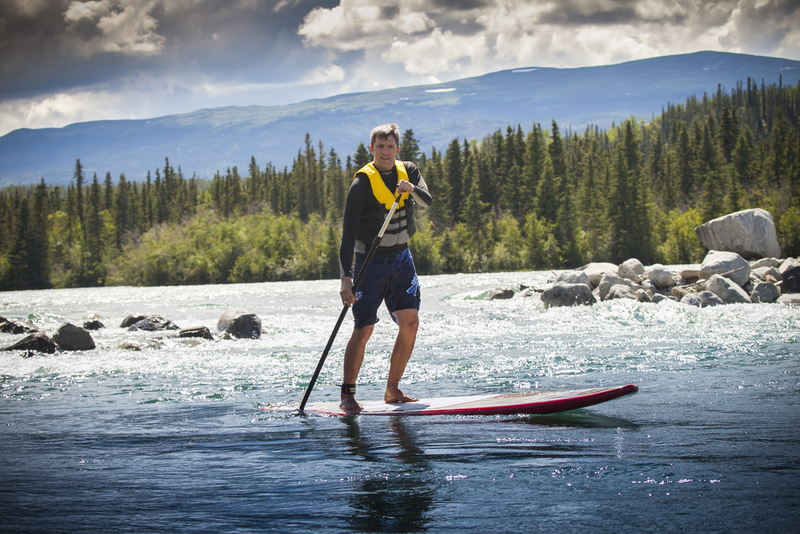 A buddy of mine recently launched a Stand Up Paddle Boarding company here in Whitehorse and I joined him on a quick trip from the Pumphouse to Shipyards. I quickly got the hang of it, but with the finish line in sight I got a little cocky and lost focus, resulting in the board bucking me off and into the freezing water I went. I don't think I've ever scrambled so fast as I did to get back on that board.